For many us, one of the highlights of the Christmas season is enjoying a holiday show or concert with family and friends. I’ve put together a list of the upcoming holiday performances in the Baltimore area. Some are free or cheap and some are pricier. Where I could find discount tickets, a link is provided. Many of these sell out fast, so if you’re really interested, grab those tickets while there are still some available. Follow the link for each show to check availability and get tickets. Enjoy the show! Grammy® Award-winning jazz trumpeter Chris Botti brings his band to the Meyerhoff Symphony Hall for a Thanksgiving weekend of Pops concerts. Regularly topping the Billboard jazz albums chart, Chris Botti has established a reputation as a versatile musician in both jazz and pop styles. Experience the voices of Viva Trio, the classical-crossover group of Canadian sopranos. Performing classic pop and jazz songs with an amazing three part operatic harmony such as, Hallelujah, What A Wonderful World, My Immortal, Wicked Game, Hello by Adele, Imagine by John Lennon and Christmas favorites. Discount tickets: $7 – $16 get discounted tickets here. Bach in Baltimore’s A Baroque Christmas features three highly celebrated works. Bach’s Christmas Oratorio, Corelli’s Christmas Concerto and Vivaldi’s Gloria. The concert will also feature tenor arias from “Comfort Ye” and “Every Valley” from Handel’s Messiah. The full Bach in Baltimore Choir will be joined by a complete orchestra. Discount tickets: Save 35%. Get your discounted tickets here. The Beach Boys will be playing all their favorite hits along with a very special Christmas show in Baltimore. Holiday choral favorites in the historic and inspiring setting of the Baltimore Basilica continue with a bold twist—a Brass Bonanza. Thirteen of Baltimore’s most talented symphonic brass instrumentalists, percussion, and Associate Conductor Leo Wanenchak on organ join Music Director Anthony Blake Clark and the full Chorus to tell the festive story of the Christmas season. Show-stopping hip-hop dancers join the BSO for this fun-filled holiday concert. This is a Swingin’ Nutcracker that the whole family will love. At 9:45, in the lobby, a range of exciting, interactive and educational activities including face painting, crafts and more will be offered. Immediately following the family concert there is an optional buffet lunch in the lobby — luncheon tickets purchased separately. Ring in the holidays with the U.S. Army Field Band’s Jazz Ambassadors. America’s Big Band brings its signature style to the season with the annual holiday concert series, “Sound the Bells.” If swing is your thing, it’s an event you won’t want to miss. This brand new touring production of A Charlie Brown Christmas Live on Stage by Charles M. Schulz features everyone’s favorite Peanuts gang – Linus, Lucy, Snoopy, Sally, and more, all led by the lovable Charlie Brown – as they discover the true meaning of Christmas. The world-renowned Morgan State University Choir, under the direction of Dr. Eric Conway, will be performing classical, gospel and traditional Holiday music with orchestral accompaniment during this annual event. Tickets are available at the Carl J. Murphy Fine Arts Center ticket office (443-885-4440) and via Ticketmaster here. Discount tickets: $25: 55% off Tier or Orchestra seats – get discounted tickets here. Christmas in Vienna showcases these gifted musicians with voices of unforgettable beauty in an extraordinary program featuring Austrian folk songs, classical masterpieces, popular songs and, of course, holiday favorites. 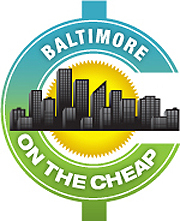 Baltimore is one stop in their 39 city tour. This performance is part of the Jazzy Fall Nights series offering smooth live jazz accompanied with good food & drink. Performance features Clarence Ward III with vocalist Michele Bowman. Presenting world-class Russian dancers, stunning hand-painted sets, Russian Snow Maidens, and jubilant life-sized Nesting Dolls – Great Russian Nutcracker brings the Christmas spirit to life for all ages. Featuring live music from the Orchestra of the Moscow Ballet. Hear The U.S. Army Field Band’s Concert Band & Soldiers’ Chorus perform their annual holiday concert series, “Sound the Bells.” Celebrate with the Musical Ambassadors of the Army as they spread the festivity of the season with a world-class program of holiday favorites. Join Curious George, the inquisitive, lovable monkey in this adventure-filled musical. All-You-Can-Eat Meatball Day comes only once a year. After a month of anticipation, George and his friend Chef Pisghetti are shocked to find that the hungry crowd has vanished. Bring the whole family and follow George through this fun-filled adventure on the quest to learn the secret ingredient to cooking. Discount tickets: $18 – $26 – Get discounted tickets here for the 7pm shows on Dec. 8 or 15. Battle the Rat Queen and her minions and help Clara rescue her beloved Nutcracker from the Rat Queen’s spell as you share in her enchanted adventure through the Land of the Snow to the Kingdom of Sweets where she receives the magical wand that can make all her dreams and ours, come true. Sunday matinee ticket holders are invited to a free Sugar Plum party one hour before the performance. Enjoy holiday treats and crafts, sing along to holiday music, and meet Santa. Photos with Clara and the Sugar Plum fairies also available. Discount tickets: $4 – $6.50 — Get discounted tickets here. Baltimore Choral Arts brings holiday cheer to the entire family, as the ever-popular Pepito the Clown tells a brand new holiday story. Even Santa joins this festive adventure. Discount tickets: Free – $12.50 — Get your discounted tickets here. The Baltimore Choral Arts Choir invites area choruses and the entire audience to join in singing highlights of this Baroque classic. It can’t be Christmas without Handel’s Messiah and the Hallelujah Chorus. Charm City Ballet brings their critically acclaimed full-length ballet of “A Christmas Carol” to the stage once again. Join them, for this family friendly performance, as they present this classic holiday tale. Renowned gospel singer and twelve-time Grammy® Award-winner CeCe Winans joins the BSO and the Morgan State University Choir in a rousing Gospel Christmas program of holiday favorites. Broadway musical director Andy Einhorn leads the BSO and the Baltimore Choral Arts Society in festive favorites from A Christmas Carol, Frozen and The Sound of Music. Featuring the ever-popular tap-dancing Santas and an audience sing-along. The Meyerhoff Symphony Hall becomes a winter wonderland with pre-concert performances, holiday cookies and ornaments for sale. Join us for this celebration of the holiday season! Get discount tickets to see the Preview show on Wednesday, December 5 at 8pm. You can also find discount tickets here for the Preview show ($11). Christmas shows in Baltimore are tradition. A delightfully original adaptation of the Christmas classic is a celebration of Chesapeake culture and history, in story and song. This version, while staying true to the original, is set in Victorian Baltimore.